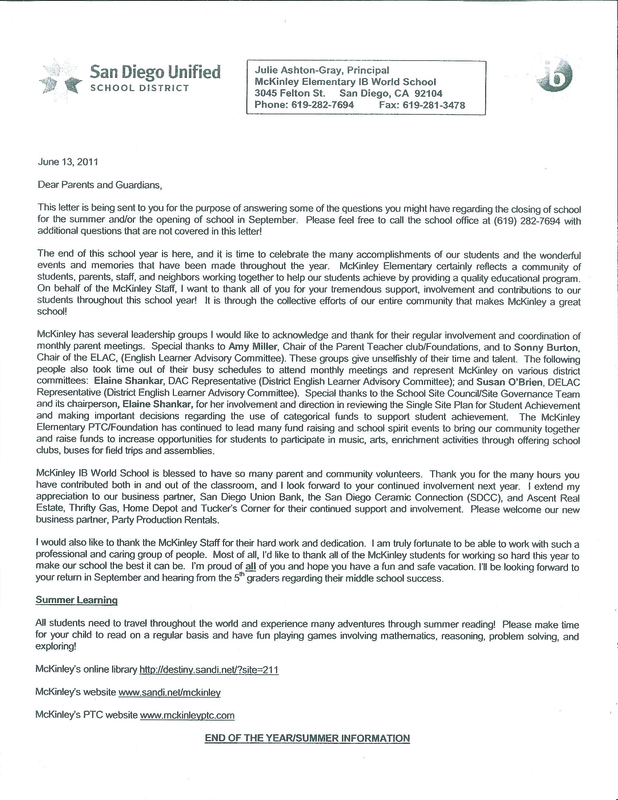 Read the final letter of the 2010-2011 school year from Principal Julie Ashton-Gray. It includes useful information for the summer as well as important dates for the 2011-2012 school year. Download the full letter here.